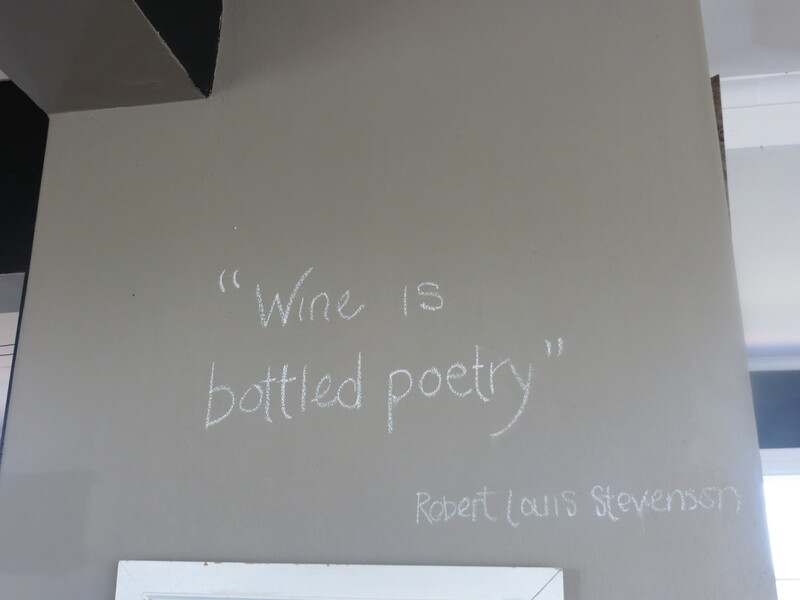 The Wine Estate and Restaurant is located 20km from Plettenberg Bay towards Tsitsikamma and Storms River. 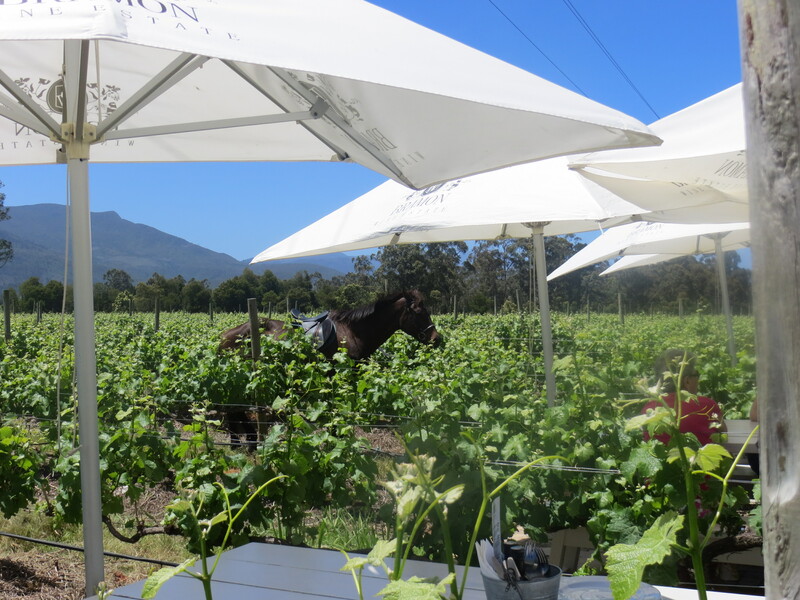 The Restaurant is open for lunch only and is set right in the Vineyard. 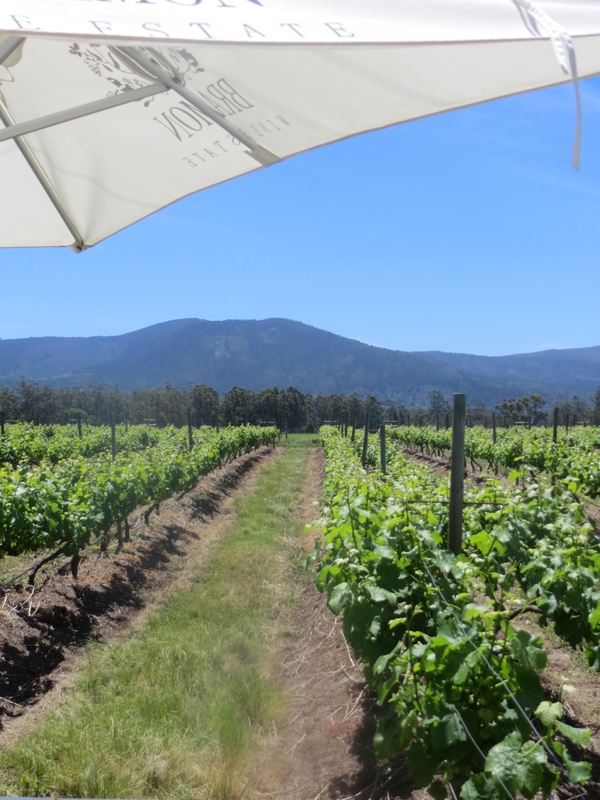 If you want the coveted tables set between the vines it is absolutely necessary to book in advance. It truly is a magical setting. The menu had changed slightly on our second visit but continues to feature a number of salads, a selection of dips and pates, meat dishes, fish dishes, cheeses, preserves and desserts. All the dishes are made for sharing and you are encouraged to order some of their wonderful homemade bread also. Actually, the bread is not to be missed as it is amazing. 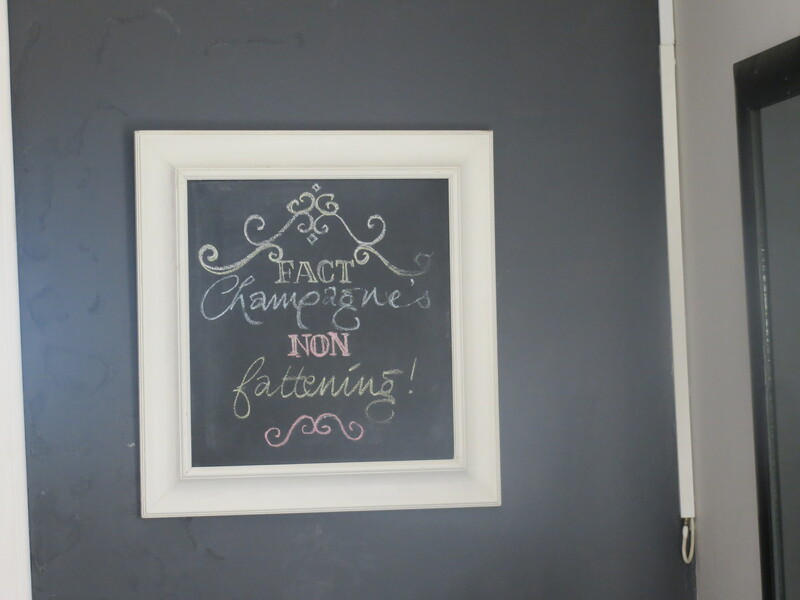 All their own wines (and MCC) are served by either the bottle or the glass. 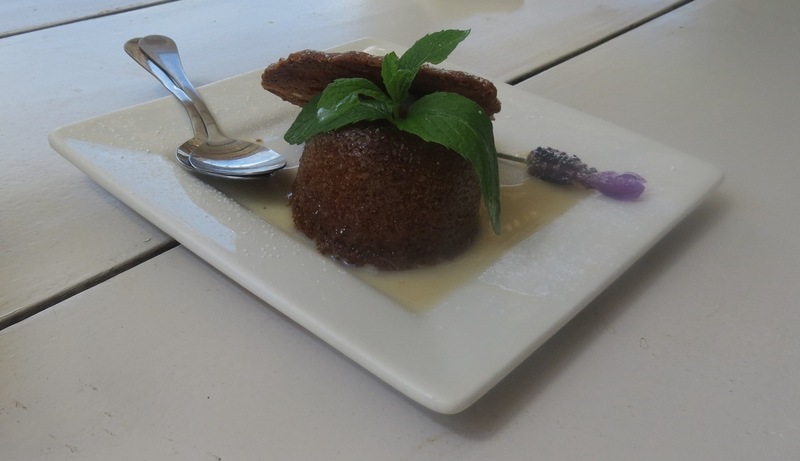 On our second visit, we really enjoyed the Avocado and Roasted Parmesan salad, the gorgeous home made bread with Pesto and Hummus, Fig wrapped in Bacon and we finished off with an excellent Malva pudding (a South African favourite – very much like our Sticky Toffee pudding). 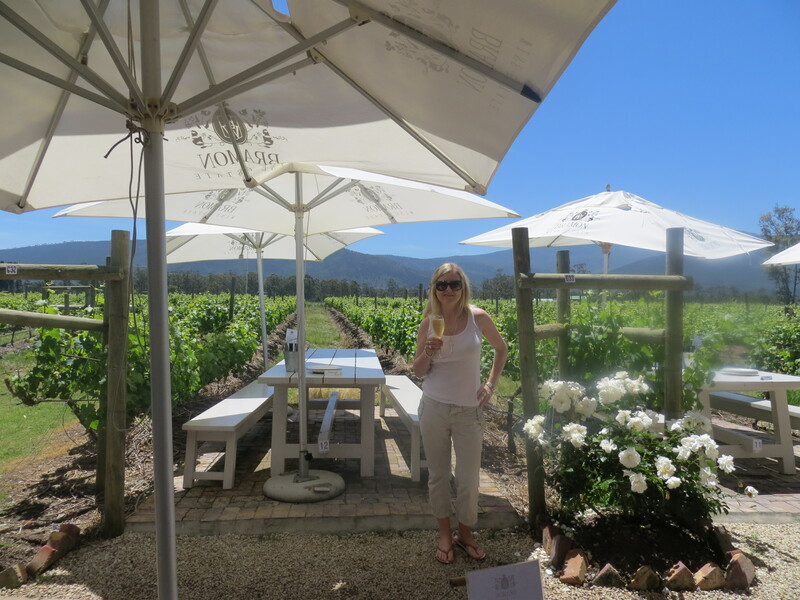 We also enjoyed a glass of MCC and a bottle of their very fine Sauvignon Blanc. 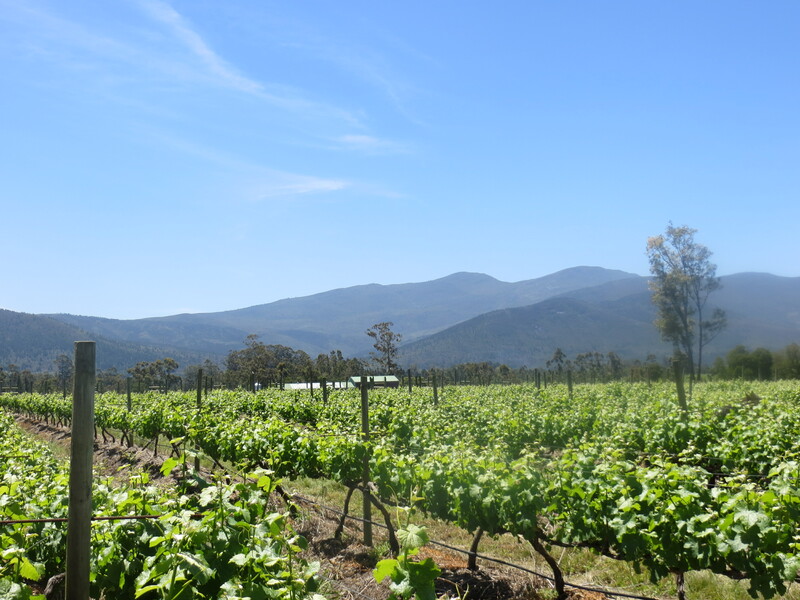 Bramon Wine Estate is one of my favourite places in the world, there can be nothing better than sitting at this restaurant in the middle of the vines sipping their gorgeous wines and eating this type of food. The restaurant building itself is also gorgeous, I couldn’t resist taking a few photos of their “artwork” – just the kind of style I love. 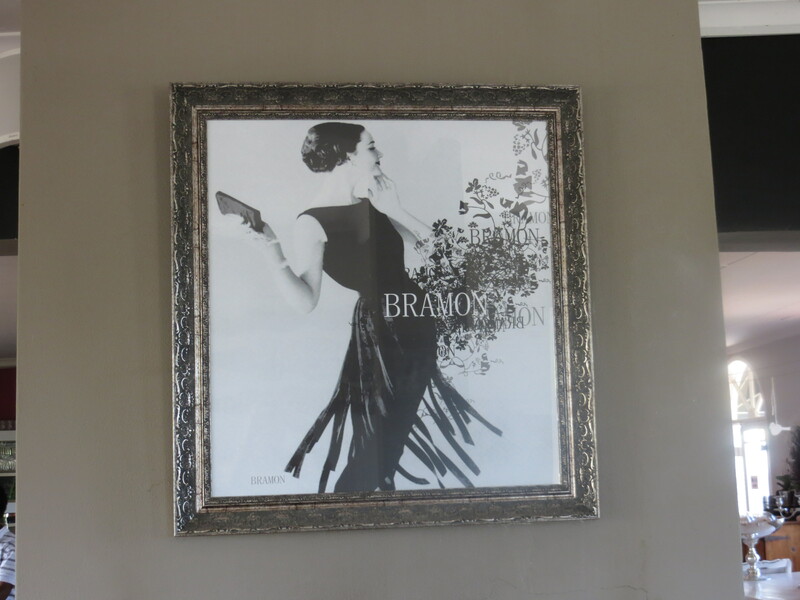 I would encourage anyone travelling to South Africa who is including the Garden Route on their itinerary to make sure they stop at Bramon for some lunch and wine tasting. 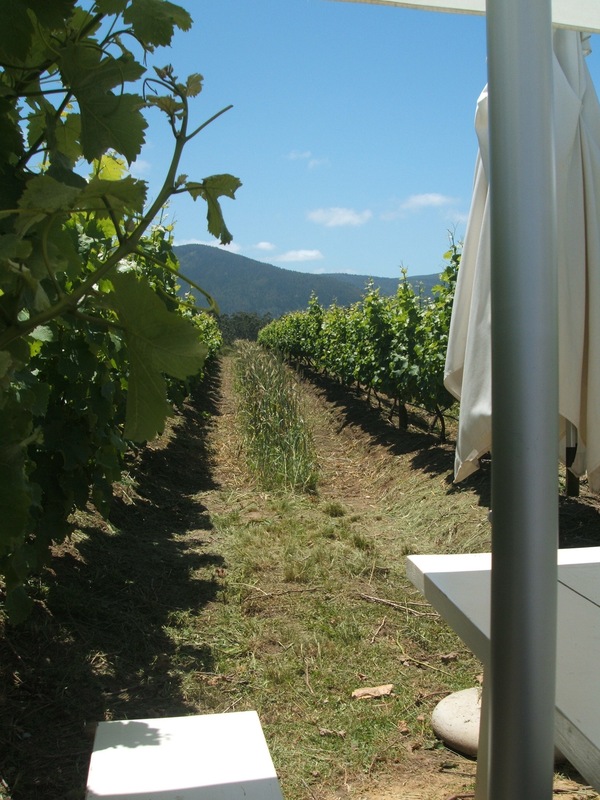 It is so worth it to book ahead and reserve that table among the vines. I can promise you that you will want to return over and over again. A special place indeed.